SERVISTEEL is dedicated to the manufacturing and development of structural solutions in Light Steel Framing. From the calculation/design to the manufacturing of the profiles and the whole range of accessories, it develops solutions of light steel structural panels for rehabilitation and new work sites. 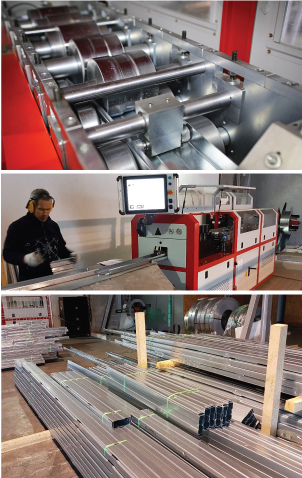 Owning of the most advanced light steel framing profiles CNC profiling technology, with an installed processing capacity of 1000 Tn. per year. SERVISTEEL has proved to be an excellent partner in the LSF structures market..